Wall Street jitters marked Tuesday’s start as the Dow Jones industrial average opened more than 300 points lower than Monday’s close. 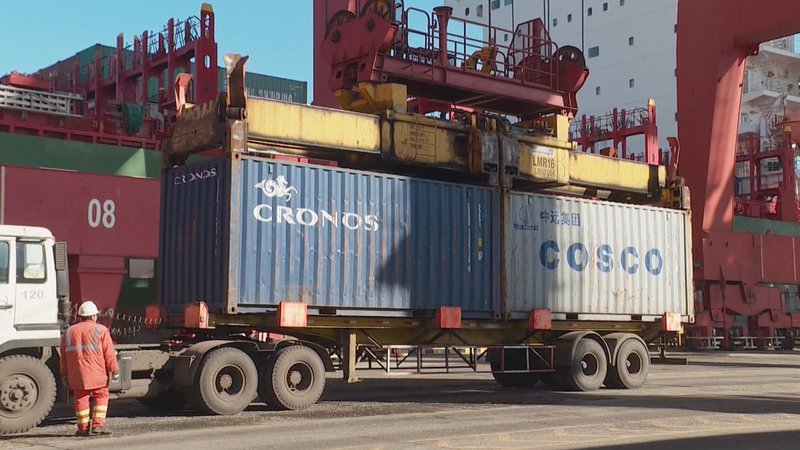 The drop comes after President Donald Trump announced a trade tariff on $200 billion worth of Chinese goods, adding to the original tariff on $50 billion worth of goods. The escalating dispute between the two countries should worry business owners in America, said Edward Stuart, emeritus professor of economics at Northeastern Illinois University. That’s because production takes place across the globe, and a lot of that production happens in China, he said. But Mike Miller, an associate professor of economics at DePaul University, disagrees. “So that means even if we impose these tariffs, the effects upon gross domestic products will be minimal in the short run,” Miller said. Stuart and Miller join Eddie Arruza to discuss how the trade war may affect Americans’ pocketbooks.